Armin van Buuren will soon be releasing ‘Armin Anthems’, a new release containing the top Armin van Buuren tracks from the last 20 years, as voted by his fans. As a thank you to all those who have supported him over the years, Armin apparently wanted to give back by letting the fans completely determine the track list of his next release. Everyone can now vote for his/her five favourite Armin songs of all time, and the poll results will be used to create the track list for Armin van Buuren’s first fan-voted album so far, which will come out late 2014. Voting is open now through to 10pm on 2 October, via vote.arminvanbuuren.com. The record will fit 20 songs (commemorating 20 years) into one physical CD in addition to being made available through all major digital download and streaming services. Once the votes are tallied, the results will be announced during Armin’s A State of Trance radio broadcast on 9 October, 2014. 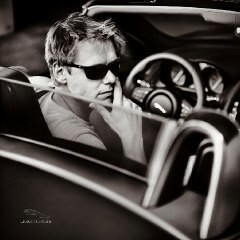 Among the records of Armin’s back catalogue are ‘This Is What It Feels Like’ (certified platinum, gold, and silver throughout the world), his first UK hit ‘Blue Fear’, ‘In And Out Of Love’ (which was one of YouTube’s most viewed videos, reaching over 147 million views and counting), and many more tracks. Following up on the success of Armin’s recent ‘A State of Trance at Ushuaïa Ibiza, 2014’ compilation including the single ‘Hystereo’, this record marks a special experience for Armin’s audience, especially those who have followed and stood behind him since the very beginning of his career.